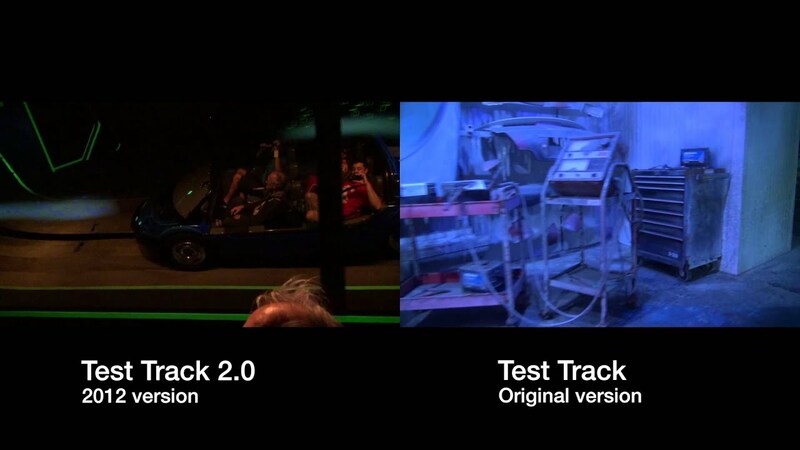 The Test Track 2.0 live chat with Imagineer Melissa Jeselnick has just concluded over at the official Disney Parks Blog. For those of you who may have missed it, here are the highlights, along with a new rendering of the entrance marquee. Question about how the new queue will look. Melissa Jeselnick: The queue, the whole attraction is completely reimagined. The queue will look like nothing our guests are used to seeing it look. We'll use the space to introduce guests to Chevrolet’s Automotive Design process - how it starts with a line and ends with the cars you can buy on the showroom floor. We'll have actual items, sketches, cars, models from GM that have never been seen before by anyone outside the Chevrolet family. It's basically changing from testing to design. Melissa Jeselnick: Let's talk about the Design Studios. In the studio, you have a chance to design your own custom concept vehicle. That design follows you into the ride, which is still the same physical ride that our guests know and love. You'll ride in our sim car. As you move through the space, your custom design will be scored in areas such as Capability, Efficiency, Responsiveness and Speed. When asked about the TRON type appearance of the artwork. Melissa Jeselnick: I think the new attraction and the artwork represent the digital age, and when people think about what the inside of a computer looks like, that's what you think of. When asked about if the track layout will remain the same. Melissa Jeselnick: Yes, it's still the same track layout that we know and love. Question about how customizing the car will work with multiple parties being in the same car at one time. Melissa Jeselnick: Everybody in the vehicle will have their ride design, whether they designed individually or as a group. As you move through the four groups, you'll see how the design stacked up against the sim car design. When asked about what we should be looking forward to most. Melissa Jeselnick: I think the coolest thing is how we integrate the pre-show with the experience, and then in the post-show, your ride vehicle travels through the entire experience with it. And you can keep interacting with your ride vehicle after. Question about what will be new in the post show area. Melissa Jeselnick: The post-show will kick off with a scoring opportunity, not just with the guests in your car, but guests throughout the day. From there, we'll move into other opportunities to play with your design with multiple interactive elements. The show room space will still be there with the Chevrolet cars, and we'll have our own photo ops with different concept cars. When asked about the music. Melissa Jeselnick: It will be futuristic. We'll have a whole new soundtrack that will not only compliment the attraction with music, but special sound effects too. Question about the show scenes. Melissa Jeselnick: Let's talk about the four show scenes in more detail. Capability is where your car is tested for rough road and weather conditions. Efficiency tests your car design's environmental footprint. The Responsiveness phase tests maneuverability, and finally, Speed is tested. Question about what brought about the changes. 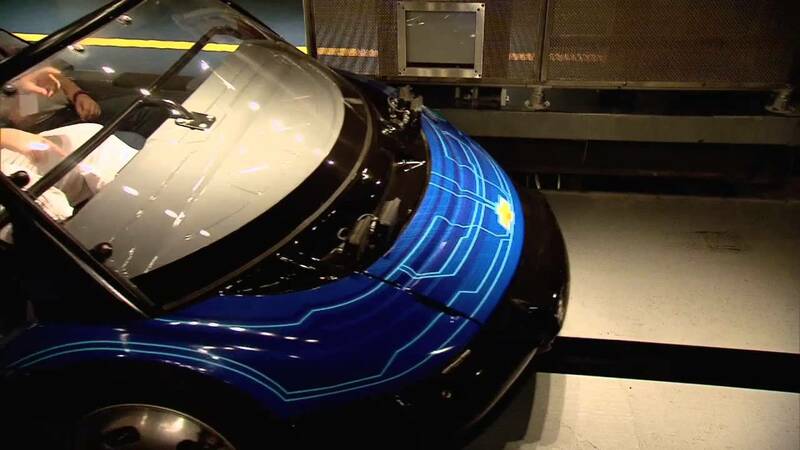 Melissa Jeselnick: The whole automotive design process has evolved since Test Track opened and things have moved into the digital realm, and the same has been true for WDI's design process. It updates the automotive story to reflect what is happening today. When asked about how much of the ride will be real sets VS screens. Melissa Jeselnick: We talk a lot about being in the digital space, but it's still a physical experience. We're using a lot of new technology to tell the story, but it is still a dynamic physical experience. How FASTPASS vs Standby will work. Melissa Jeselnick: The full experience allows you to do a lot of customization with your vehicle; the FastPass and Single Rider lines allow for an expedited queue experience and select you a custom vehicle of your choosing to take with you on your ride all the way through the post show. When asked about new technology in the attraction. Melissa Jeselnick: Our team is so excited to bring new interactive technologies to the guest to enhance Future World and put the guest at the center of the experience. All of the software is custom for this attraction. Melissa Jeselnick: The experience will be dark, but more importantly, I think we're pushing the envelope as far as the use of new technology, so it's not really a traditional "dark ride." 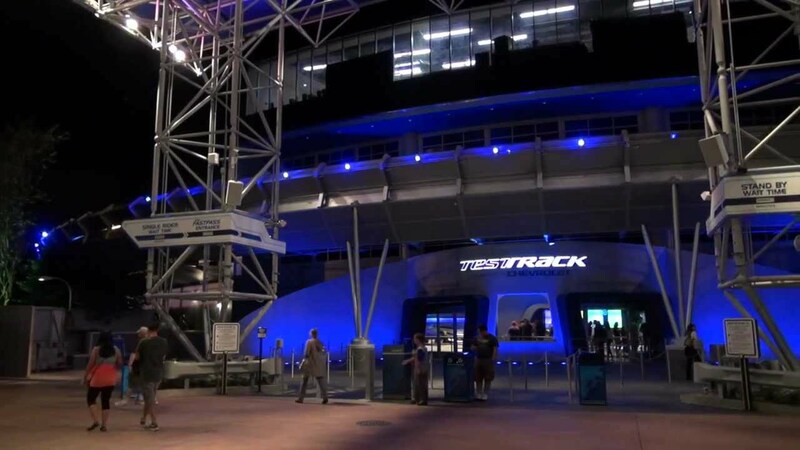 Below is a rendering of the new Test Track entrance marquee.